Yes it’s finally here, it’s under under 80 degrees!!! Can I get a happy dance, no worries I’m doing one anyway. Although when it does drop below 80 during this time of the year it typically means that it is rainy, overcast and dreary… like today. All I want to do is lay around under a cozy blanket and sip hot tea (heads up the best is Lipton Black Tea Vanilla just trust me) but instead I have a ton of errands to run and unfortunately that dreaded yearly lady doc appointment so I’m wearing my blanket today. This LOFT Chenille Blouson Open Cardigan comes in this beautiful moss green color and is true to size, I’m in a medium. 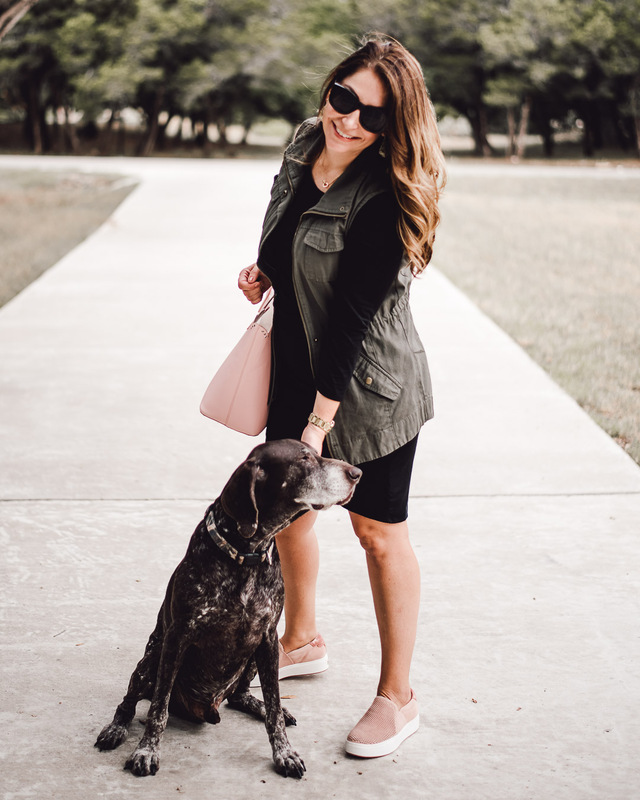 I always try to grab cozy cardigans like this early in the season because in Texas the weather can change in a day and having a nice looking sweater on hand is essential. Through today you can get $50 off this sweater if you add $34.50 more to your cart since they are doing a $50 off $100 purchase ending 9/10. Hope that it is starting to feel like fall wherever you are living and you get a chance to cozy up today!